I would love to see Net Entertainment’s download client as a Adobe AIR client! Net Entertainment has build a download client in which their flash games can be played. I think this is a great alternative to playing on a gaming portal. 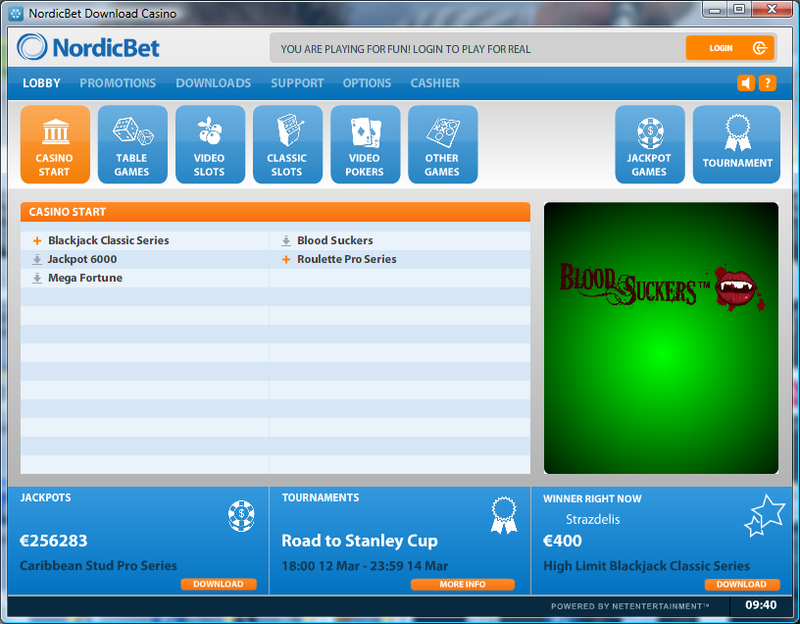 If I just want to play casino games then I think a download client gives a better player experience. I believe Net Entertainment could make a better choice in selecting to build it as an Adobe AIR application insted of an exe application that only works on a PC. An Adobe AIR application is a download client that is built in Adobe Flex and works on many different operating systems. This would make the client available to more players! Adobe AIR is also great because you can incorporate flash, html and other formats in the client, and you can make the client much more than just a download client like all the rest on the market. You could add different widgets and make the player experience even better.